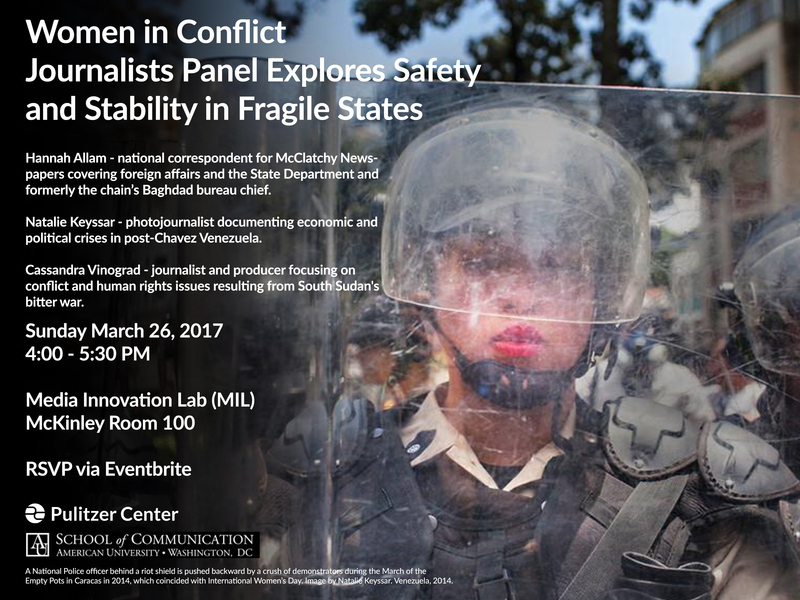 WASHINGTON, DC, 20 March 2017 — Join us this Sunday 26 March for a presentation and panel featuring three journalists — all women — about their coverage of some of the toughest stories on earth. 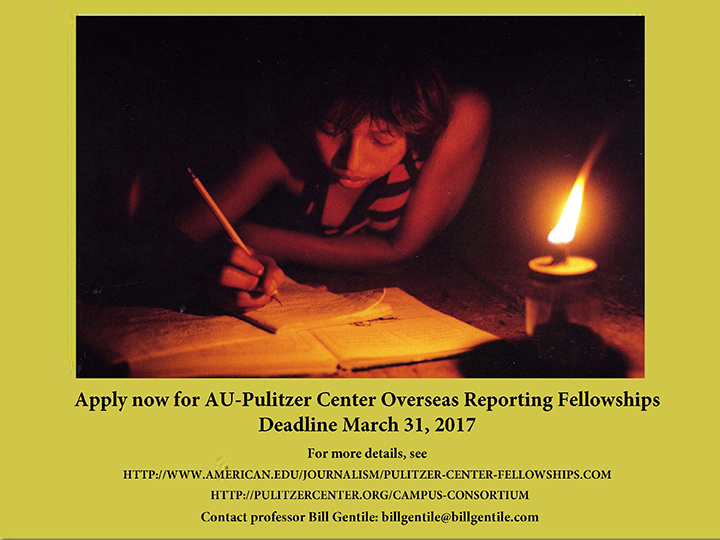 WASHINGTON, DC, 3 March 2017 — I’m delighted to announce these details regarding this year’s AU-Pulitzer Center International Reporting Fellowships. These are extraordinary opportunities for students seeking to work overseas. As the mainstream media pull back from foreign coverage, it is organizations like the Pulitzer Center on Crisis Reporting which are filling the void. Journalist uses fellowship to investigate the disappearance of students in Mexico.